This is the best reception I could ever hope for. 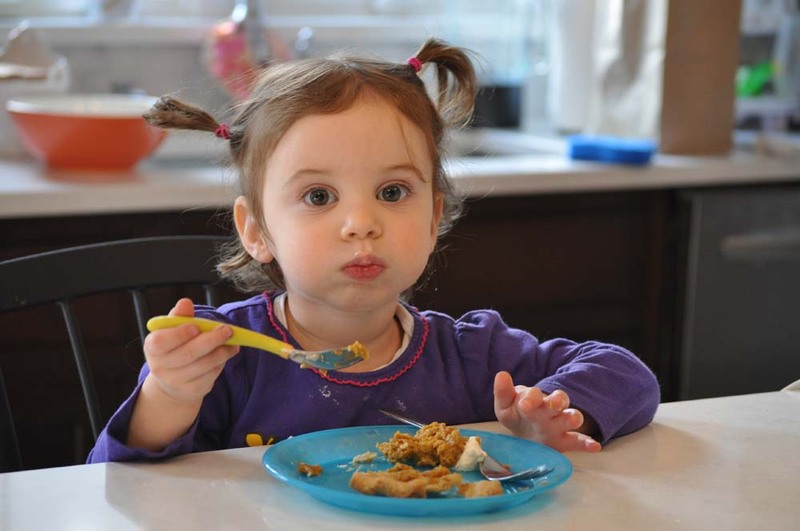 Thanks, Shoshana! Pumpkin pie offers several opportunities to incorporate local food: pumpkin puree, evaporated milk or cream, eggs, butter and flour in the crust. 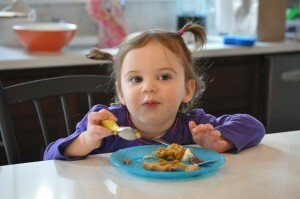 We went all out this weekend and made a pie with entirely local ingredients, except for the sugar and spices. We’ll post all the individual tutorials this week, but wanted to get the recipe out there ASAP, since it’s a winner. We tried a few new things, so it wasn’t picture perfect, but it tasted fantastic. 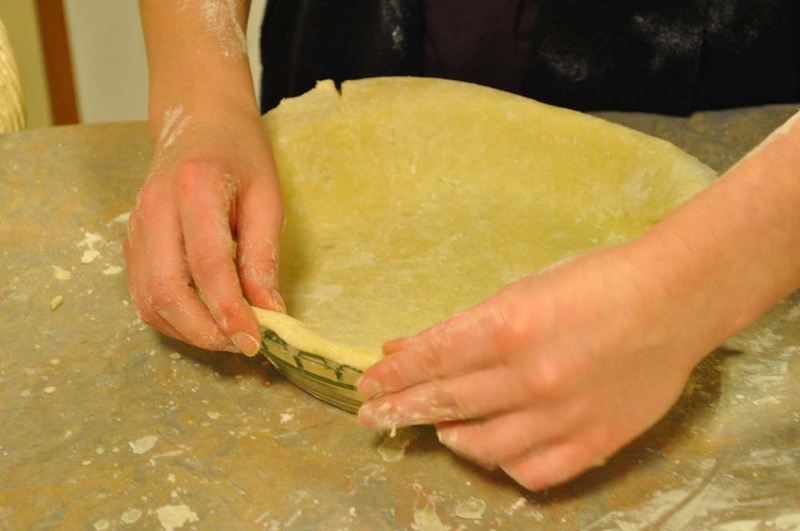 Lay the crust into a 9-inch pie pan and fold the edge under. 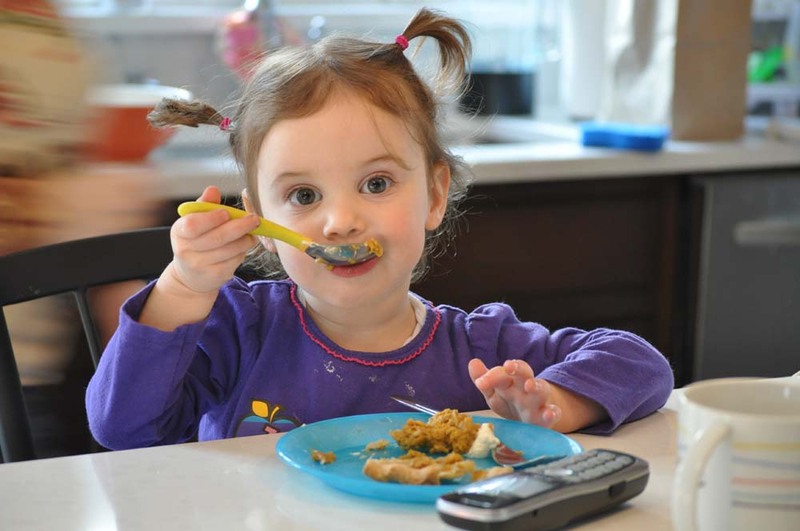 Flute the edges by pinching the edge with your left hand and pushing it against your right index finger (or just use a fork). 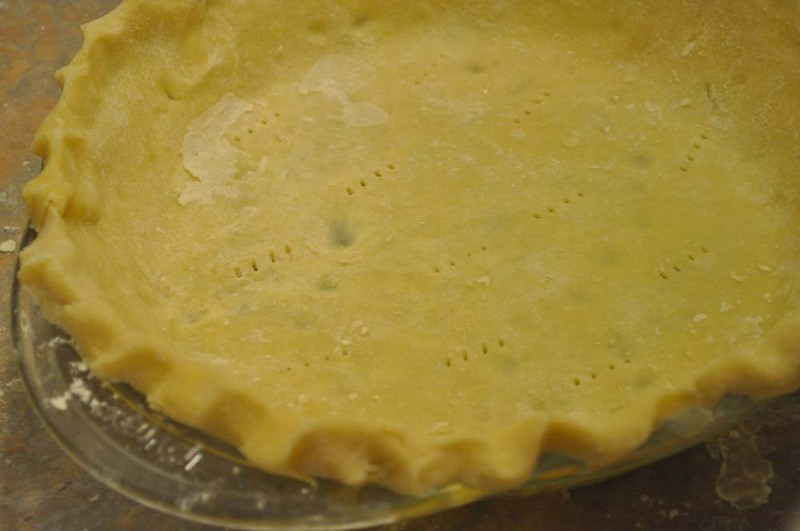 Use a fork to dot the bottom of the crust with holes. 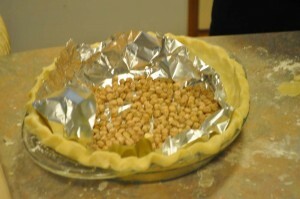 Line the crust with foil and fill it with pie weights or a pound of dry beans. 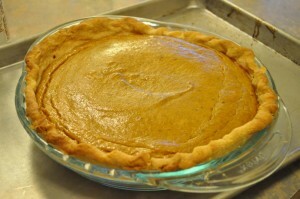 Put the crust into the oven and bake it for 10-12 minutes or until the edges just start to brown. This is called blind baking. Note: I underestimated the amount of beans I had to use as pie weights, so make sure you use more beans/weights than are shown in the photo. Because I didn’t use enough beans, the sides puffed inwards, rather than staying flat. 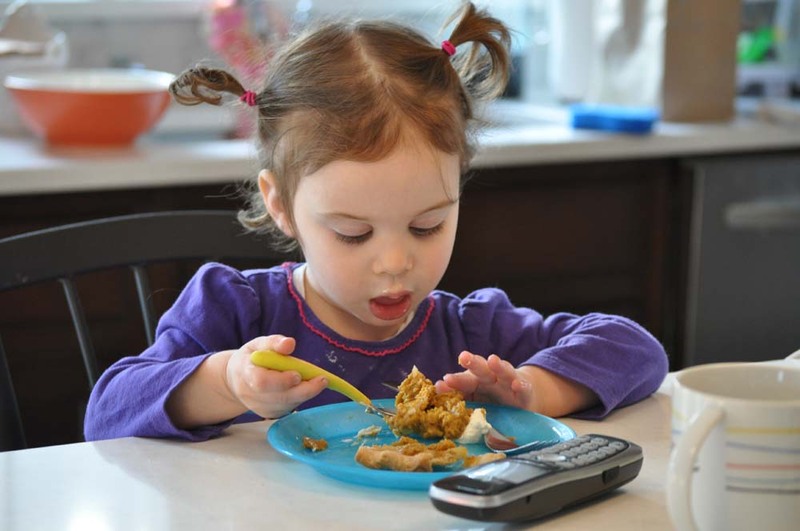 You should use a full pound of beans. 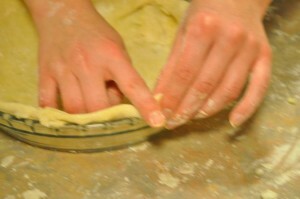 While the crust is baking, mix the remaining ingredients together until the filling is smooth and uniform. 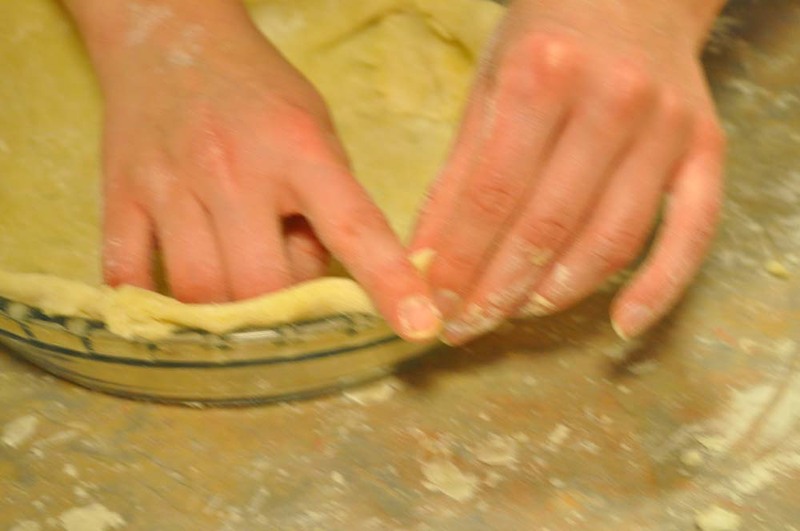 When the crust is done, reduce the oven temperature to 425 degrees. Pull out the oven rack holding the crust, so that you can fill the pie directly on the rack. 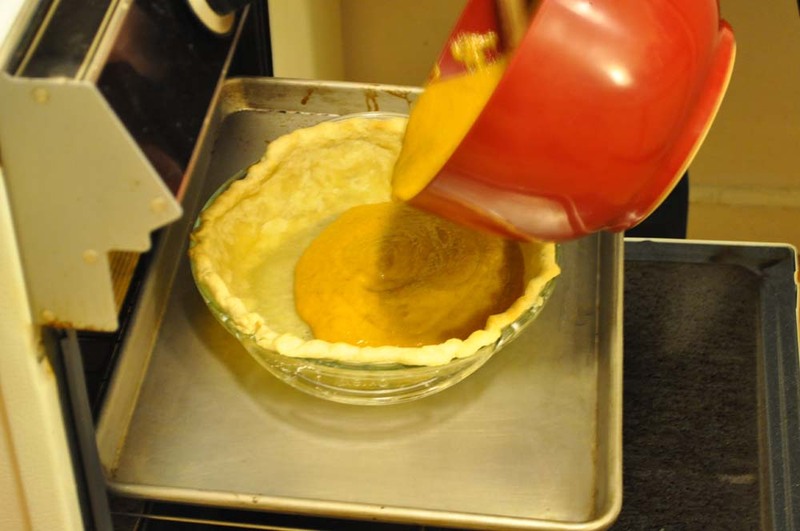 This is so that you don’t spill filling all over the floor moving the pie from the counter to the oven. The pie is done when a knife inserted in the middle comes out clean; however, testing this way will result in a gash in the middle of your pie that will widen as the pie cools. Alternately, you’ll know it’s done when the very middle is a little wiggly, but the sides are firm.